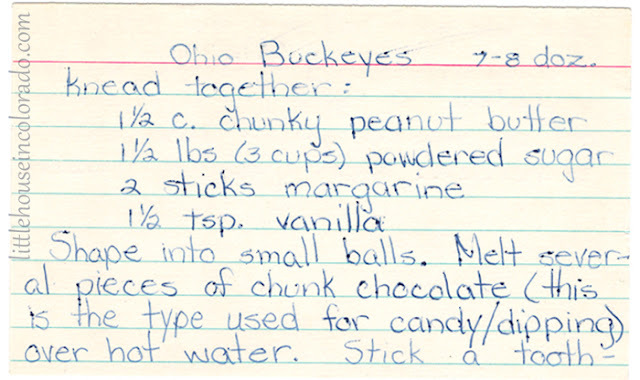 Today’s vintage recipes is Ohio Buckeyes. 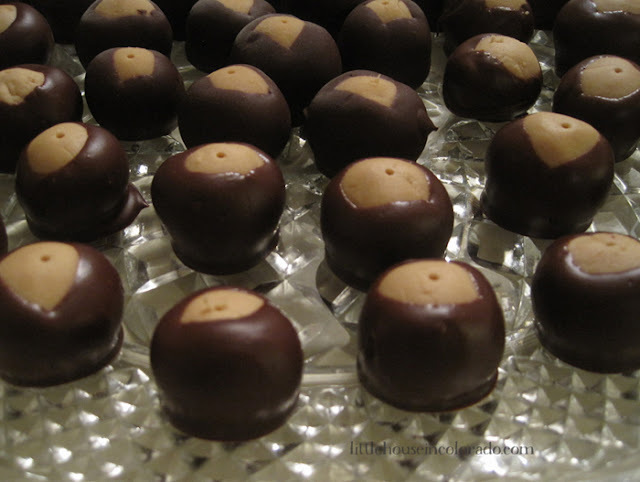 These sweet treats are called “Buckeyes” because they look like buckeye nuts. The peanut buttery center is coated in a chocolate shell leaving a small opening in the top. I’ve been making buckeyes for at least a couple decades. It’s a favorite around the holidays when we give ourselves permission to indulge a bit. Although this version calls for crunchy peanut butter and margarine, my family likes them best when made with creamy peanut butter (pictured above) and butter. To make dipping easier, allow the peanut butter balls to chill in the freezer before dipping them in the chocolate. They seem to stay on the toothpick a little better. If desired (and to achieve a more “authentic” buckeye look), the holes left from the toothpicks can be smoothed over after dipping. 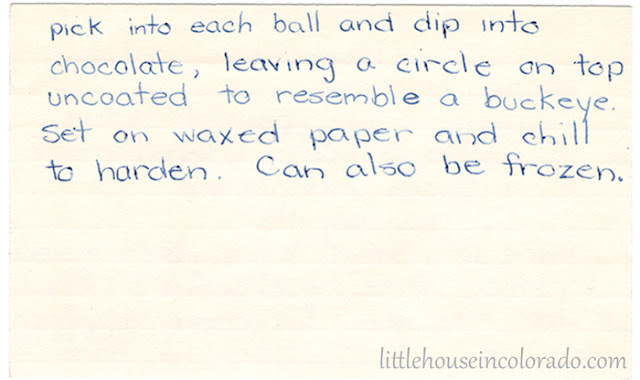 The recipe was handwritten on both sides of an index card. It was found in an old large recipe file box. The age of the recipe card is unknown. It has been scanned and transcribed below and can be printed for use in your own home kitchen. Enjoy! Mix filling ingredients together well. Shape into balls about 1 1/2" diameter. Melt chocolate bark in a double boiler. 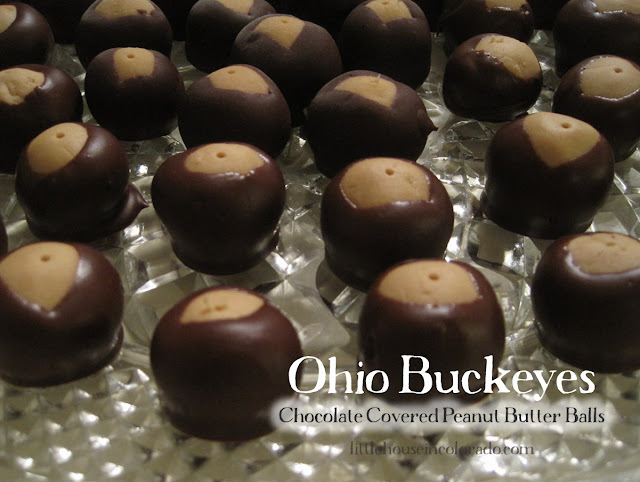 Stick a toothpick into each ball and dip into chocolate, leaving an uncoated circle on top to resemble a buckeye. Set on wax paper and allow chocolate to harden. Can also be frozen. Freezing or refrigerating the peanut butter balls before dipping helps to keep them from falling off the toothpick.